Work in small classes and workgroups which maximise the exchange of knowledge and experience between participants. Discuss practical case-studies and share best practices. Workshops to develop management and leadership skills. Space for personal reflection and opportunity to focus on your personal growth. Highly practical program with clear takeaways which can be implemented in your company. Program orchestrator who provides a common thread and context to all the elements of the program. Managing the Customer’s Experience . 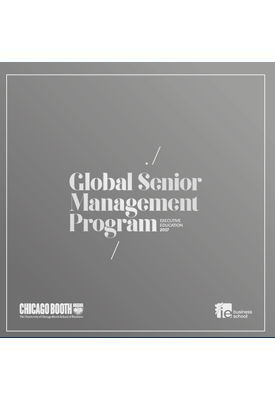 In addition to gaining business knowledge and leadership insights, the GSMP program offers participants an opportunity to experience the cultural and historical richness of Chicago and Madrid through extra-curricular activities.